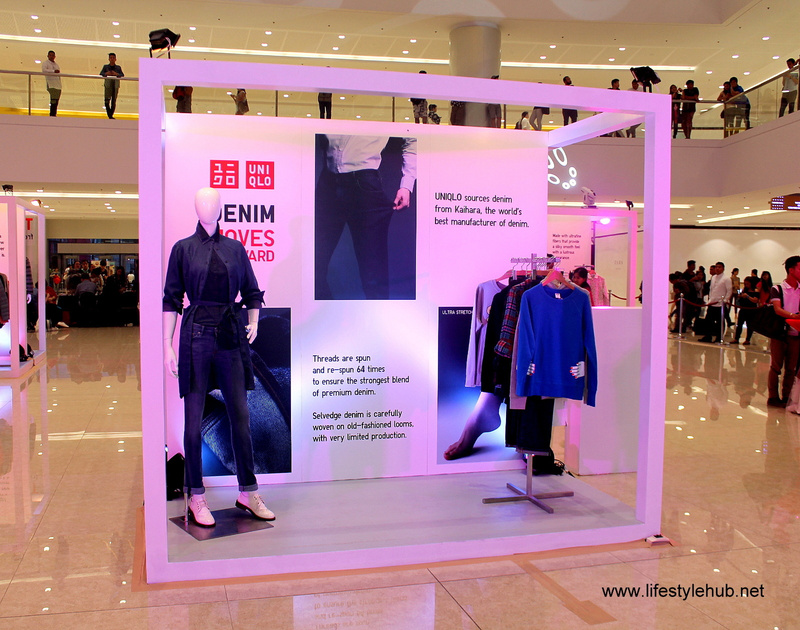 Uniqlo introduced its Fall/ Winter collection at the SM Megamall Fashion Hall. We may not have fall nor winter in the Philippines but God knows how challenging rainy season can be especially in Manila. We're always desperate for the best boots and the most protective but least heavy coats. Let's try to get the right balance of function and fashion in the harsh flood season. 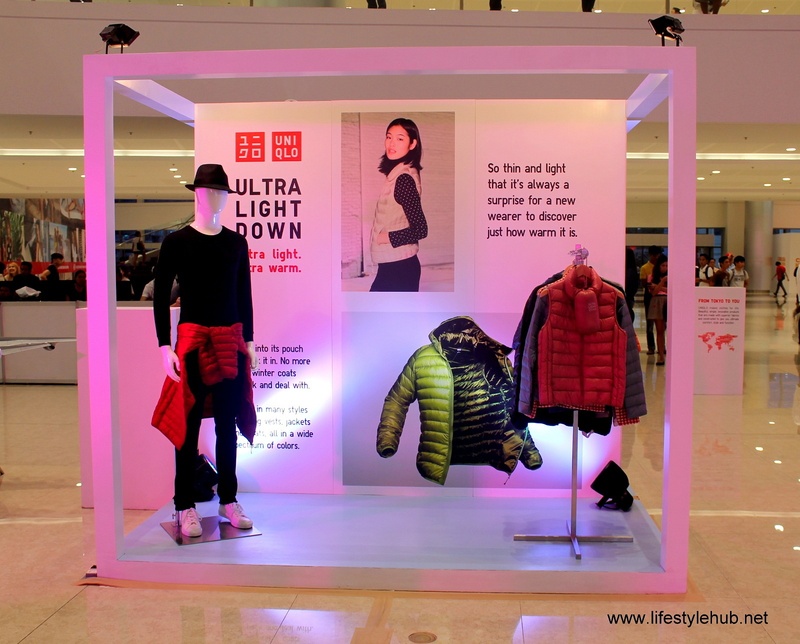 The best news for us is Uniqlo's Heattech technology. You probably might be swamped with fashion terms a lot of brands came up lately for their marketing campaigns but forget all of those. Heattech is what you need if you plan to survive Manila this Holiday rush. Available in a range of items, from classic inner wear to camisoles, socks and scarves, this thermal wear line keeps wearers warm and dry without the bulk. I say again, WARM AND DRY WITHOUT THE BULK. You can compare this to the invention of a fold-able umbrella but bigger! The Heattech Extra Warm Line aims to provide comfort in extreme weather conditions which is 50% more heat-retentive while offering the same ease of movement and comfort as the original Heattech. How? The ultra-fine fiber traps body heat in a special knit construction, creating micro-air pockets. It is during the Holiday season that we love to travel to countries with real winter temperatures. Uniqlo is introducing a new line called the Ultra Light Down Collection which can be folded conveniently into tiny, portable pouches for easy suitcase packing. New designs come in 90% down and 10% feather for a luxurious look and feel with the latest Parkas feature aluminum- enhanced lining to help retain heat during cold days. UT Sweats also sport a stylish new looked marked with artful prints and flattering silhouettes. For your Christmas parties which are prevalent during the season, Uniqlo has also introduced their new collection of Play outfits. New designs come in the finest, softest fabric for a comfortable and cozy lounge in. You know just in case the sun will shine in the middle of the day. 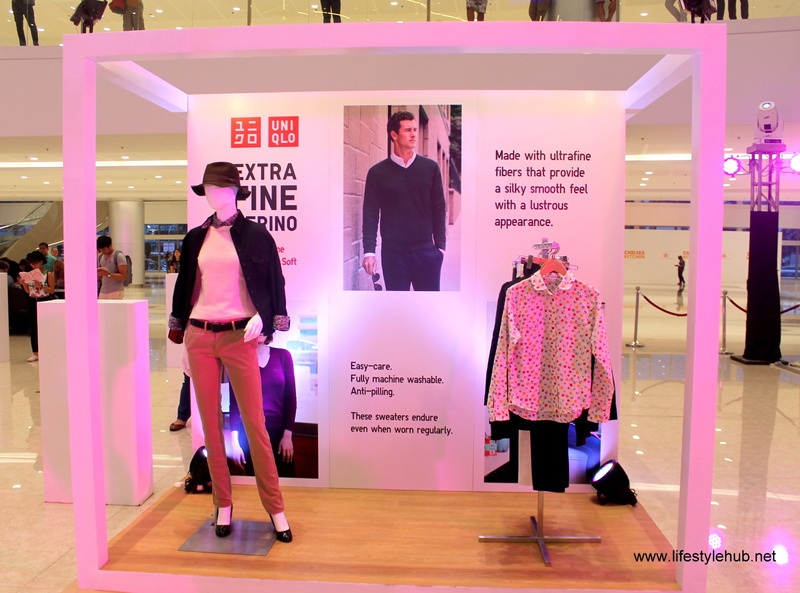 You may be excited by now to drop by Uniqlo store and you don't need to worry if you don't have a shop near you. Right now there are 16 Uniqlo stores in the country but before the end of the year, 8 shops will be opening. You'll see the brand very soon in Powerplant Mall in Rockwell, Estancia Mall in Ortigas, SM San Lazaro, Robinsons Magnolia, SM Makati, SM Lipa, SM Marikina and a huge shop in SM City Southmall. Now, are you ready for some pre-holiday shopping?